Watching all the Overwatch League teams announce themselves one by one has been a wild ride, but now we've finally reached the last stop. On Nov. 2, the team posted its first tweet, which included the team colors and logo. Sporting a classy purple as their main color, the Gladiators branding is some of the prettiest in the League so far. Additionally, because OWL play is but a few scant weeks away, the team has already revealed its starting roster. 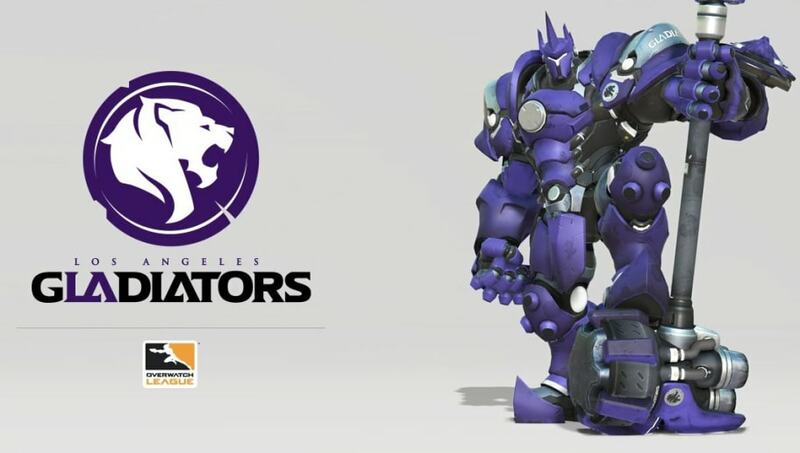 The team will be represented by Choi "Asher" Joon-Seong, Jonas "Shaz" Suovaara, Benjamin "BigG00se" Isohanni, Luis Galarza "iReMiix" Figueroa, Aaron "Bischu" Kim, João Pedro Goes "Hydration" Telles, and Lane "Surefour" Roberts. With the Gladiators revealed, the stage is finally set for the Overwatch League. All 12 teams have announced themselves, and fans are already beginning to congregate around them. The teams are even developing personalities through social media (and particularly through ​flame wars). In December, preseason play will begin with exhibition matches between each team. Then, in January, the official first season will finally get moving. Excitement is at a fever pitch, so be sure to follow your favorite teams and prepare for the coming competition.